We are excited to announce our first Autism Hero Awards to be held at the prestigious Amba Hotel – Mayfair, Bryanston Street, London, W1H 7EH on Saturday 1st October 2016. Join us for an exciting evening highlighting the outstanding work and support in the Autism community. Click here to download your nomination form. Autism’s Got Talent, The Mermaid Theatre, London, 7th May 2016. 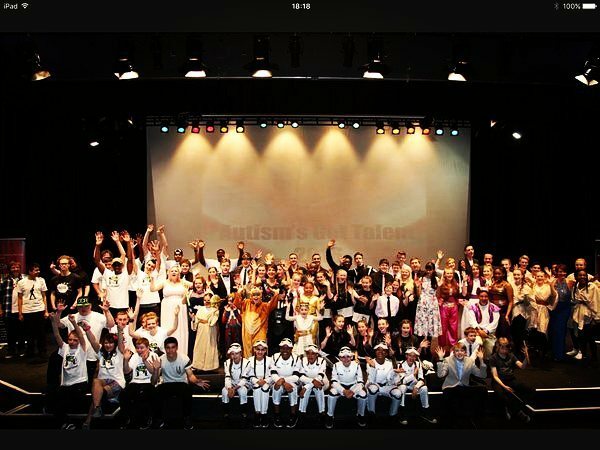 With amazing performances, special announcements, and a host of celebrities, this years Autism’s Got Talent, hosted by Anna Kennedy OBE and supported by Pineapple Performing Arts, was the best year yet! Autism’s Got Talent provides a platform that showcases an array of diverse talent from performers who are on the autism spectrum. 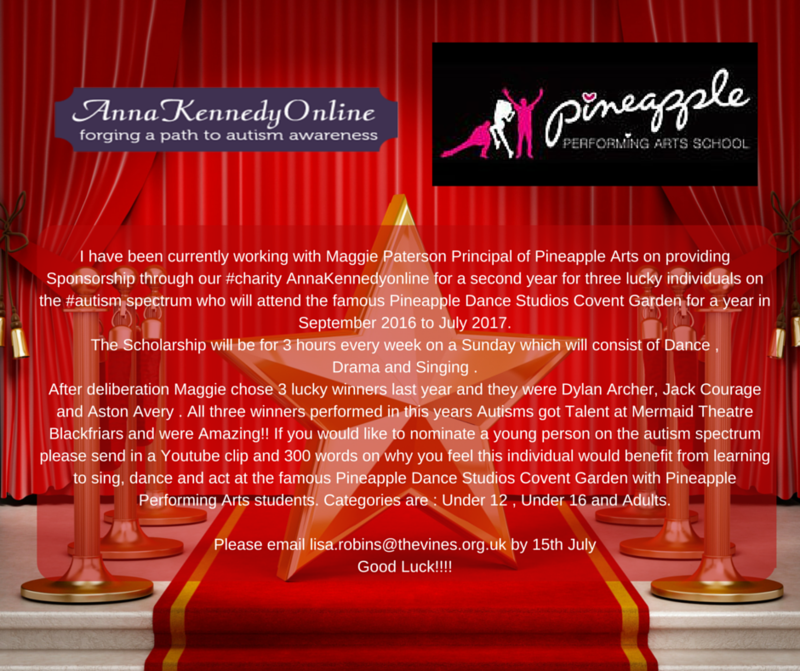 Established by autism charity, Anna Kennedy Online, the event is changing lives and the perspective of autism. This year, as well as the UK, the now renowned showcase offered acts from talented individuals and groups from around the world including Croatia, the US and Canada, proving what a global impact the event is having. The event also attracted the attention of key celebrities including Melanie Sykes, Lizzie Cundy, Robin Windsor and the BBC The A Word’s Lee Ingleby and Molly Wright. All who presented and introduced the performers on stage. Previous year success stories include a contemporary dancer who is now performing for Sadlers Wells and last year, Kaner Flex performed, who is now featured in the Calvin Klein campaign with FKA Twigs. 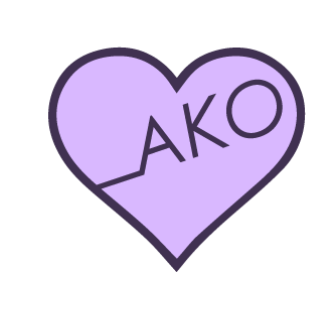 This year, the performers include singers, dancers, poets, magicians, musicians and gymnastics, and the AKO team can’t wait to see what they will go on to achieve. On the night, Anna also announced the charity’s first ambassadors. Devoted father and charity supporter Phil Wills. And Aston Avery, who performed in 2015, and won a year scholarship to Pineapple. Aston performed with Pineapple Performing Arts at this years event, who also opened the show with a stunning Aladdin dance routine. “We are so pleased to have co-hosted this event. I have been truly amazed at how talented and committed these people are. They show us, again and again, that we should never label people and always look for the best to come out naturally.” -Maggie Paterson, Head of Pineapple Performing Arts. The show was filmed by BBC and shown on BBC .